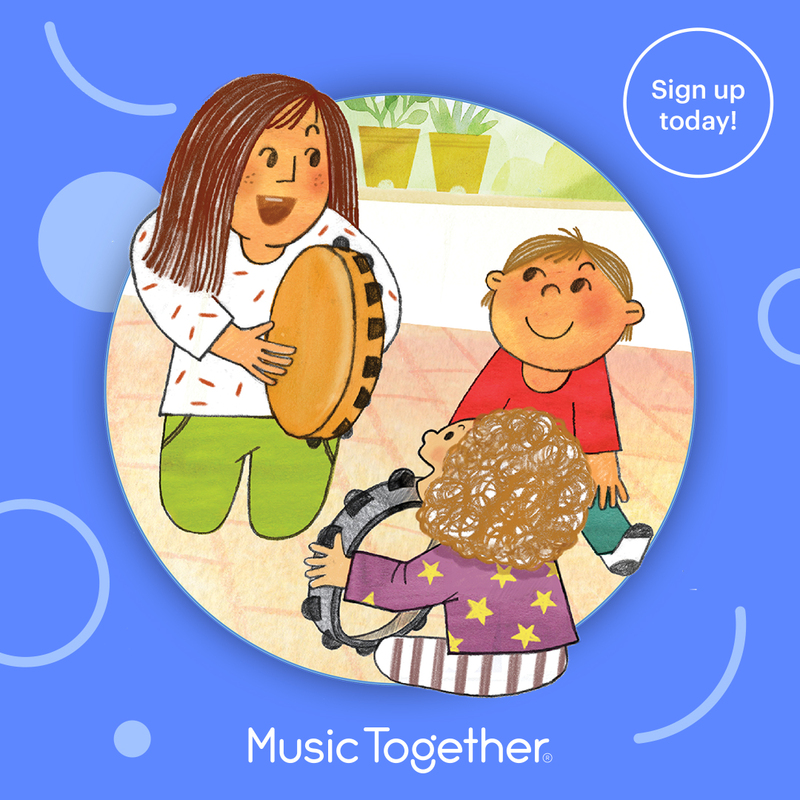 Each semester there is a brand new collection of music when you sign up for our Music Together® classes - with 9 collections of CDs. A family will never repeat a song collection twice if they come to Music Together for 3 years! With a repertoire of music from all around the world, you'll hear happy village harvest dances, Korean lullabies, Cuban rainforest songs, jazz, classical, American folk songs, and original compositions written for Music Together classes. Many of our families begin our classes when their child is just a baby. When their child approaches three or older, they ask if their child is too old for the class or if their child will benefit if they are now going to be repeating a collection of music they have taken in the past? In many cases, a family will have had a new baby and they happily decide to take both kids (or even 3 children) along to our classes as a family. This is a golden opportunity for your older child to thrive from repeating a collection of music they have taken before. I have watched joyfully on the first week of class when no one knows the songs yet, an older child lights up as they remember the song and sings along. If they took this song collection as a baby, they will no doubt experience the music collection in a completely different way this time around. Just like how they would play with a toy in a different way now that they are older. We often think of this experience as "pulling memories from a chest of drawers". These are "musical" memories, as well as "cognitive" memories. Children have been gathering puzzle pieces through the many classes they have attended, and they now have the opportunity to put all the pieces together. This is a wonderful time for parents/caregivers and their teachers as they watch with delight how that child has developed musically. They possibly are now singing in tune, keeping accurate rhythm, and may be able to sing an entire song. You might also enjoy hearing your child, singing rounds, or ostinatos (repeating a musical phrase over and over) which are some of the more complicated musical concepts that the younger children in class may not be ready to master. Your older child will also enjoy singing the lullaby and will connect some earlier bonds that they've had with their parents/caregivers from their first days in Music Together. As parents/caregivers, you will also take joy in remembering these songs, and those precious memories spent in music class with your child when they were babies.